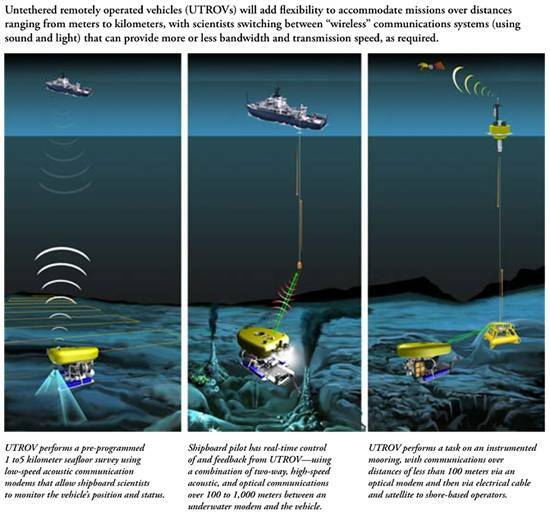 By 2013 WHOI had perfected the new wireless underwater communication system to control ROVs in real-time. This new method may eventually eliminate the need for long tether cables, offering a new degree of freedom in subsea robotics. 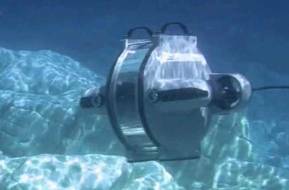 The battery-powered Nereus was originally designed for survey and sampling of the Hadal depths. A thin fiber-optic cable was developed for sending real-time control signals, reducing the need for large tether handling equipment and allowing long-range excursions from its launch point of up to 12 miles. However, fiber-optic tethers are fragile, being almost as thin as a human hair and can only be used once before being discarded. The new system eliminates these problems by combining acoustic and optical communication systems. 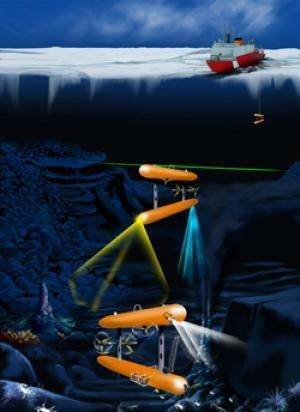 Acoustic methods, which transmit digital signals through seawater as sound waves, can operate over long distances but can send only a small amount of information, and can’t be used to control complex operations of an ROV in real-time. Optical signals, on the other hand, can send a high-bandwidth signal that allows real-time control, but only works within a 100m radius. Beyond that, the light is absorbed by seawater and the signal lost. To counter these limitations, WHOI introduced a device that provides vehicles with what WHOI calls ‘adaptive autonomy’, an ability to seamlessly alternate between different communication bandwidths and exhibit varying degrees of automation as needed to perform a mission. 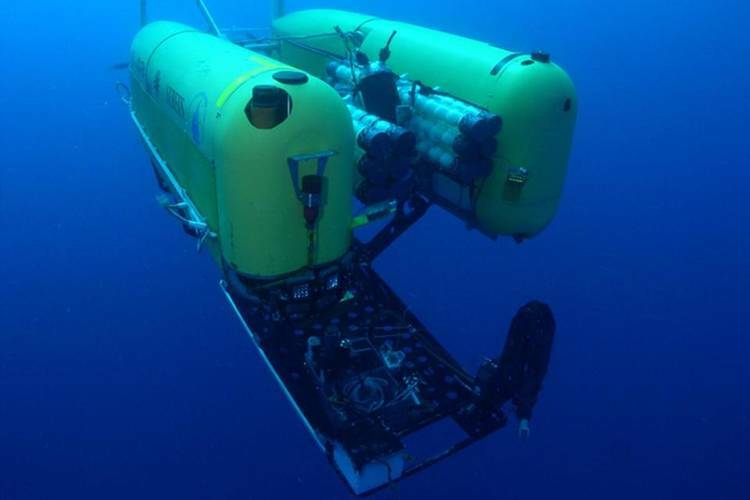 During the Guam tests, the WHOI team sent Nereu,s 700m (2296ft) below the surface under acoustic control and tracking using the Sonardyne Ranger 2 ultrashort baseline (USBL) tracking system. Then a small optical transmitter was lowered on a cable beneath the ship. When Nereus came within range of the transmitter, it automatically picked up the optical signal, and began wirelessly transmitting high-definition video back to the ship. This video link gave the vehicle’s operator visual feedback, allowing him to manipulate a robotic arm via acoustic control. 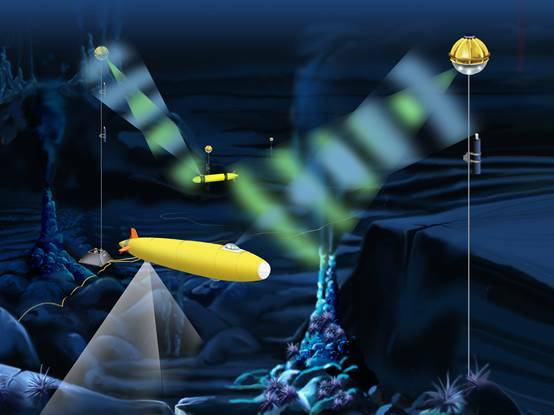 Further development of this system may well allow full wireless control of ROVs and Hybrid ROVs for deepwater operations.